For many local businesses, deciding which marketing or advertising channels to invest in is difficult. The decline of local publishing has fractured local audiences, rendering traditional methods much less effective. Subsequently, search engines are now the way most people seek and discover local businesses. Google and other search engines have done a good job of integrating local listings with customer testimonials, integrated maps with directions, easy contact information, etc. Search engines have really angled themselves to become the go-to resource for local merchants. This means that executing an active SEO strategy is now the best place to spend marketing dollars, and here are ten stats to prove why. What each of these stats proves is that search engines have really stuck as the primary source for local business information. The lion’s share of the marketplace is consistently using search engines to seek out local businesses. 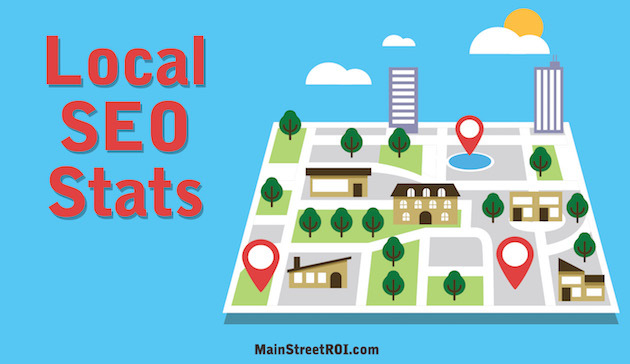 For local businesses, an SEO strategy is no longer a luxury but rather a necessity. Local businesses are becoming increasingly competitive with SEO, particularly in light of the statistic that 75% of users never make it beyond the first page of search results. If you’re in a crowded local market, such as some local dentists or accountants, strong rankings can be a key factor in the success of your business. The digital bar keeps rising and SEO is becoming more and more competitive for businesses of all sizes. Every marketing strategy seeks tangible results and a measurable return on investment. More and more, local SEO is able to demonstrate this. There is a direct link between local searches, local visits, and local sales. In the coming years, pay particular attention to mobile and voice search strategies. Often this traffic is coming from potential local customers already in transit, driving and looking for the best the local area has to offer. More than ever, SEO has the ability to diffuse local information that converts to local sales. Investing in a local SEO strategy is a massive opportunity to add lasting value to your local business as SEO is only becoming more competitive. Search engines have taken the lead as the local provider of business information, driving traffic and revenue for those able the seize the opportunity.